Is there a better alternative to MoneyLine? Is MoneyLine really the best app in Finance category? Will MoneyLine work good on macOS 10.13.4? MoneyLine gives you easy and quick access to all of your important financial and spending data. You can also digitally balance your checkbook. 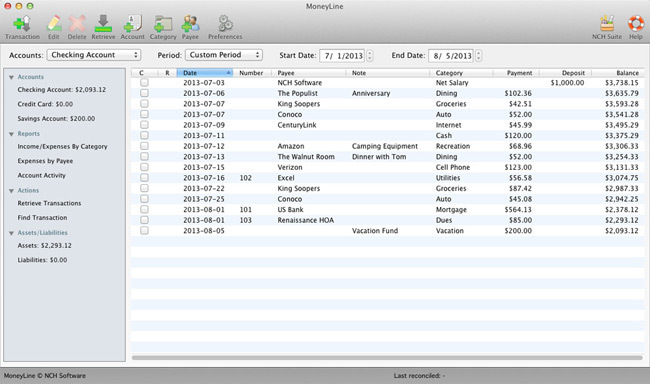 MoneyLine tracks all of your money, spending, and bank accounts in one place. You can stay organized and in control of your finances. Version 1.22: Release notes were unavailable when this listing was updated. MoneyLine needs a rating. Be the first to rate this app and get the discussion started!